A fifteen-minute ferry ride from Cancun, Isla Mujeres, known affectionately as ‘Isla’ is hardly Mexico’s best kept secret, but the supremely chilled out Caribbean vibe of the little island is a million miles away from its rowdy, party-hard neighbour across the water. Tranquil azure waters lap white powder sand beaches, pastel-coloured buildings line every street, dusky pinks rubbing shoulders with sunshine yellows and minty greens. Mexico’s ‘Island of Women’ is a popular choice for a day trip for the package tourists over on the mainland, but also has its fair share of backpackers and expats. It was the first stop on my Mexican jaunt, when I gladly ran away from the rowdiness and tackiness of Cancun with my tail between my legs as fast as my backpack would let me. Arriving in Isla I let out a big sigh of relief – Mexico wasn’t going to be all about Senor Frog, CoCo Bongo and $100 day trips to Chichen Itza. Quiet streets, street vendors, kids playing basketball, glorious beaches and no thumping bassline to be heard. Bliss. 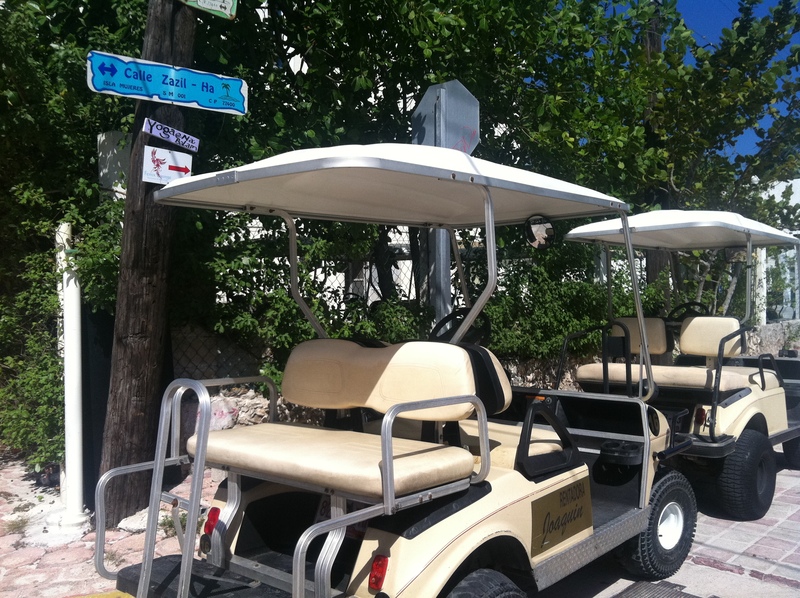 The main method of transport on the island is via golf cart. I never really did get used to overweight tourists zooming around on the things – it seemed kind of unnecessary – the main part of the island can be walked around in its entirety in about fifteen minutes. I even saw two morbidly obese American women order a takeaway burger from Bobo’s to their cart – all of 2 metres away because ‘Honey – it’s too much effort to get out of this darn thing!’ – wow. My daily routine involved waking up around sunrise, spending an hour and a half contorting my body into crazy poses on the beach during morning yoga, enjoying a leisurely breakfast at the delicious Rooster bakery down the street, then relaxing on the sugary beaches until evening when I went out in search of some tasty Mexican food doused in lime. I’m not a big drinker, so Isla’s lack of nightlife was perfect for me. No annoying college students puking over the pavement, buckets of tequila or gigantic mega-clubs with $50 cover charges. In Isla you’ll hear more Spanish spoken than English, locals will smile at you without seeing you as a walking dollar sign and you can eat a great sit-down meal for less than 100 pesos. 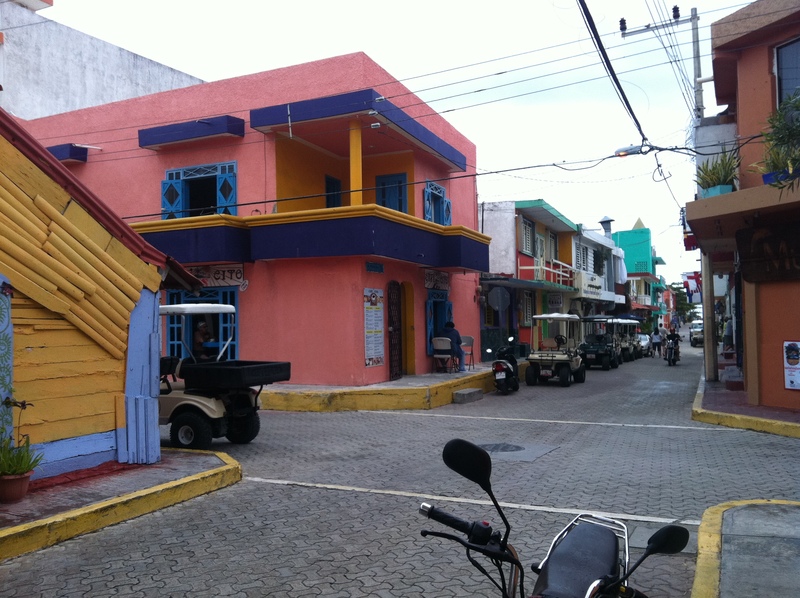 Apart from the tourist hub of tacky Hidalgo Street most of the island wasn’t particularly touristy. Sure, there are hotels and tourist shops on the island, but nothing that even begins to approach the monstrosity of Cancun’s highrise shoreline. Most tourists are daytrippers, which is a shame as Isla is a great place to just sit down and do nothing for days on end. I stayed at Mexico’s oldest and most infamous hostels – Poc Na. 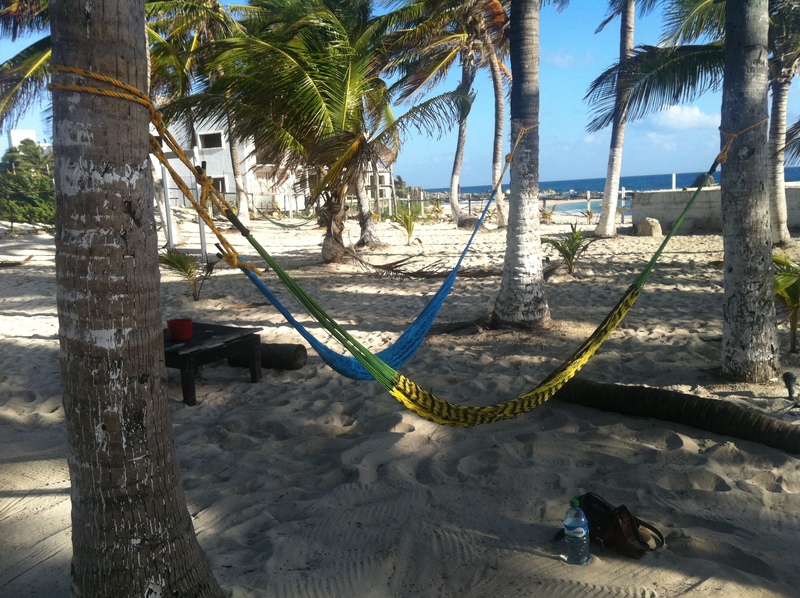 Located on its own stretch of beach and decked out in hammocks and palm trees, the place certainly had a hippy vibe going on. So hippy in fact, that it comes with bed bugs and staff whose attitude is so laid back, they may as well be asleep. As the only hostel on the island I didn’t have much choice and after relocating to a bug-free room I warmed to the place a little more. 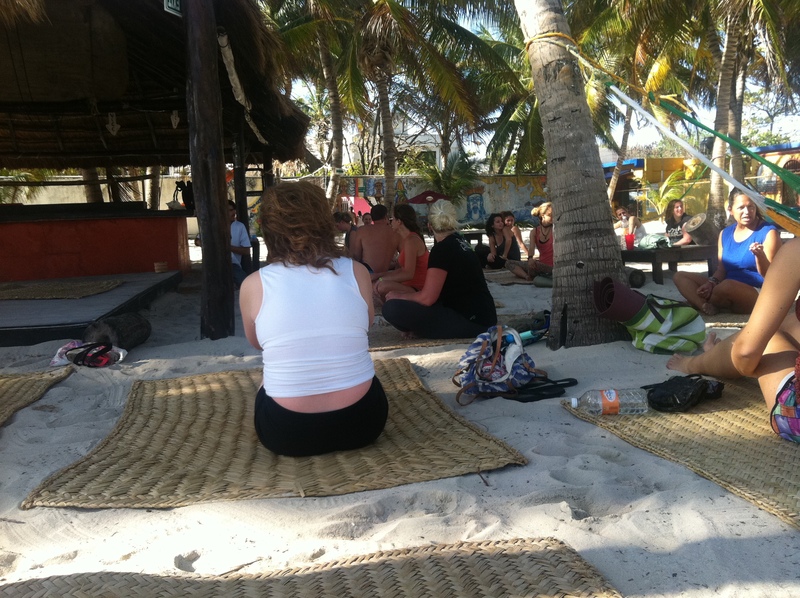 Every morning a very awesome English guy named Greg ran free yoga sessions on the beach. After 3 days I learnt that my body can do some very bendy things that garner some pretty scared looking responses. Thanks Greg! 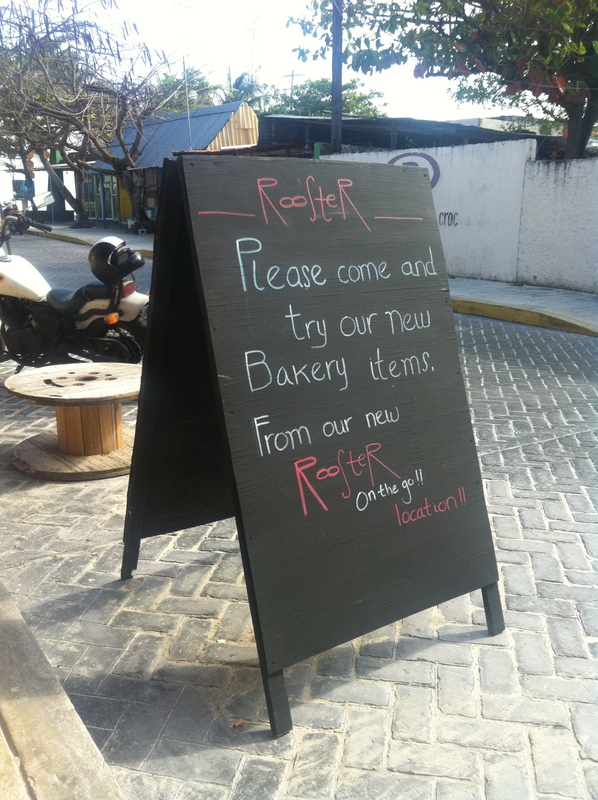 I also fell in love with Rooster Bakery. 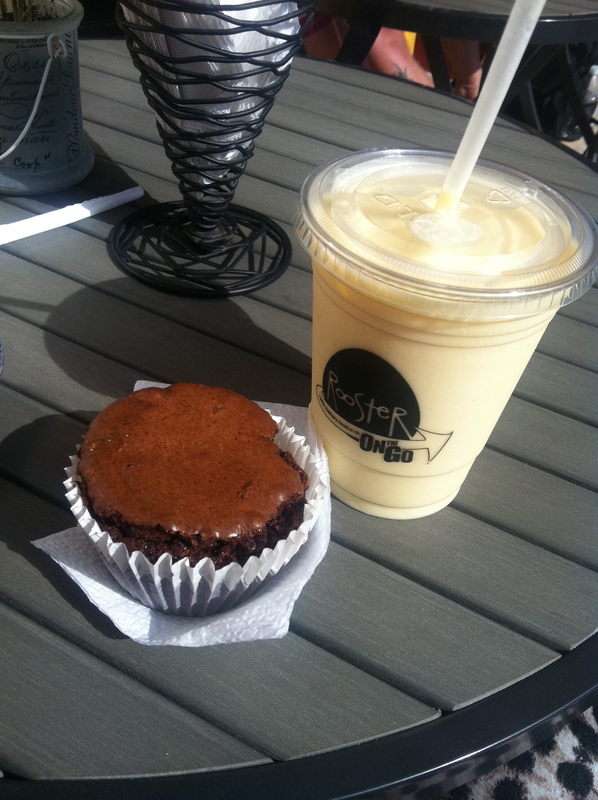 This little place is opposite Poc Na and serves up great smoothies and brownies. The owner speaks Spanish and English and is incredibly friendly. She’s happy to let you while away the hours one of the little tables out front, kindle in hand, and watch island life go by. 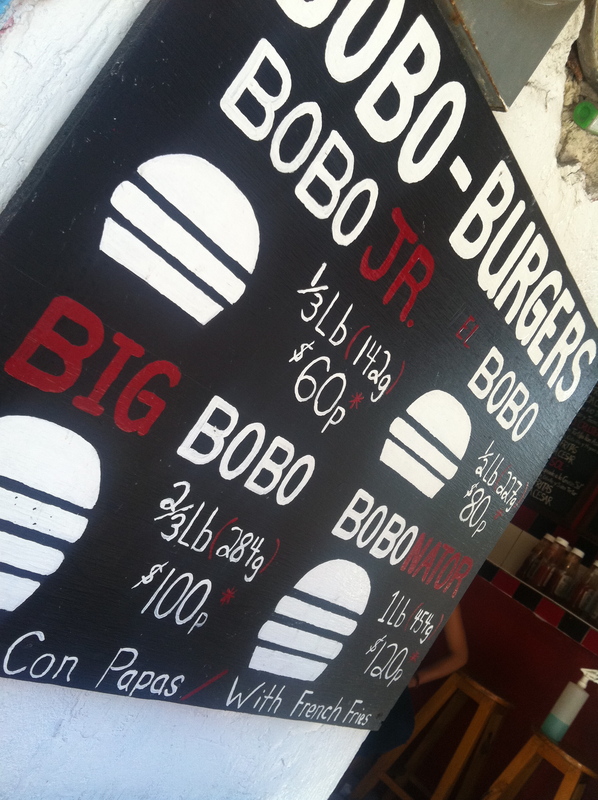 I also stuffed myself with tacos from the local street food vendors, and indulged in some very good burgers from Bobo’s – a little Canadian-run eatery on Matamoros Street. El Bobo is particularly good. Unfortunately I lost my camera in Mexico, so all of my pictures are from my iPhone – which sadly didn’t include all of the pictures I took in Isla – or match the quality. I”m still officially in mourning. Isla is very well connected to the Mexican mainland. 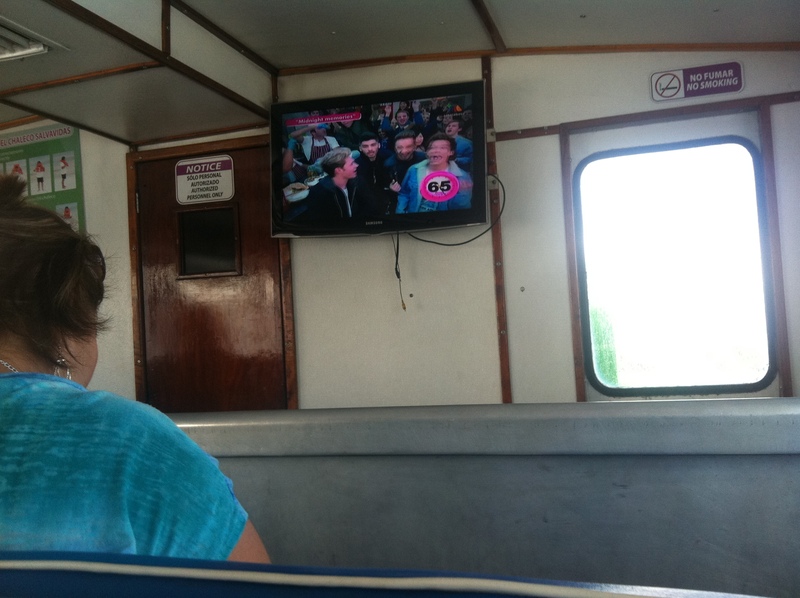 The best way to get to the island is catch one of the regular ferries running to the island from Cancun. Catch a collectivo (a small van which carries locals – and the occasional tourist) from outside the McDonalds in downtown Cancun. The vans rock up every few minutes with a sign saying ‘Puerto Juarez‘ on the windowscreen. Jump off at the ferry stop and pay the driver the fee -for around 8 pesos (£0.30/$0.60). 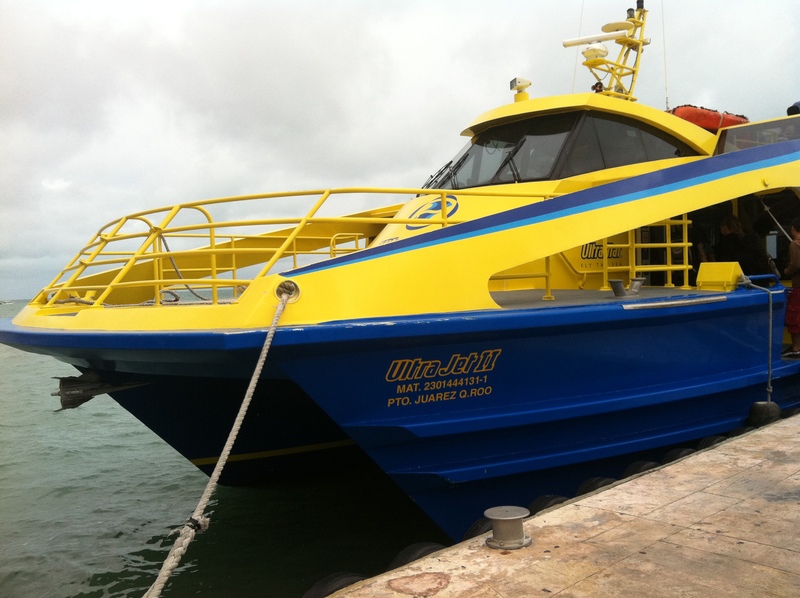 Ferries from Puerto Juarez cost 60 pesos (£3/$4.50) making them the most economical choice. The ferries leave every 40 minutes and take around 20 minutes to reach Isla, and are pretty basic, with no sundeck. This is the local choice, so they get pretty rammed. Obviously they play One Direction on board. Ferries also leave from the more upmarket Gran Puerto Cancun, which is much nearer to the Hotel Zone. Swish ferry company Ultramar use this port as their base – with substantially higher prices. A single costs the same as a return – 140 pesos (£7.00/$10.00) so it’s better to just buy a single and grab a return whenever you feel like leaving Isla. Ultramar’s distinctive blue and yellow ferries make the crossing every 15 minutes, seven days a week. The journey takes around 15 minutes, and there is a comfortable sundeck where you can chill out on the crossing. 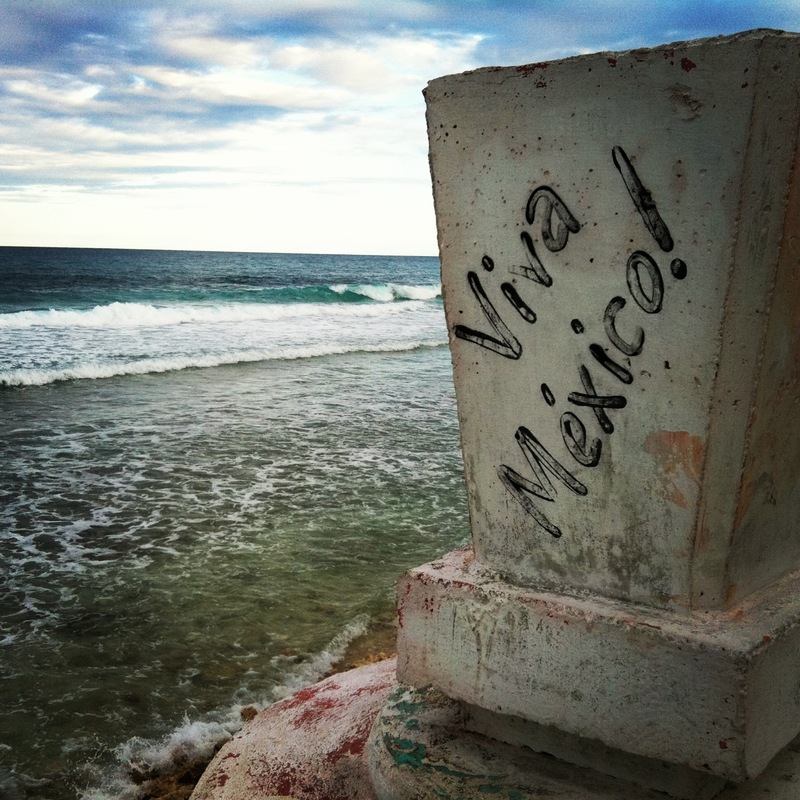 Tags: Isla Mujeres, Mexico, North America. Bookmark the permalink. 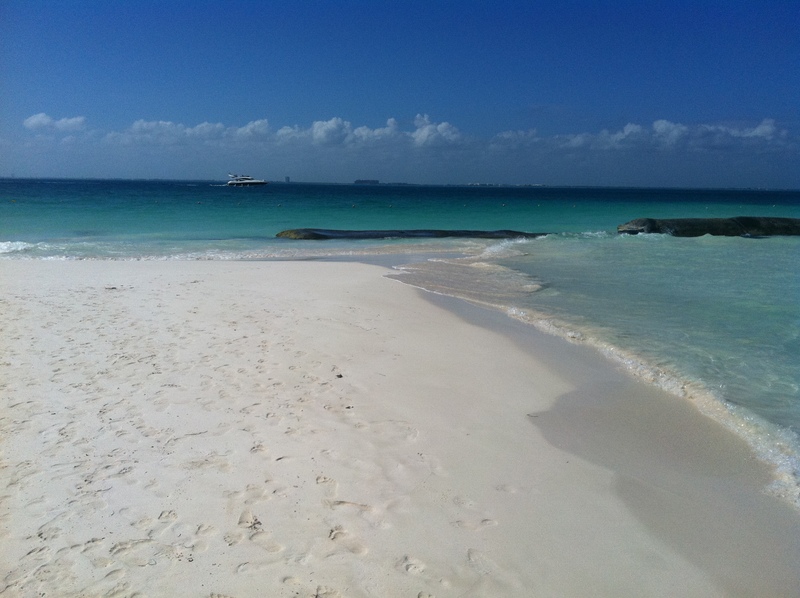 We love Isla Mujeres! Great post! It’s such a lovely little island, I never wanted to leave. 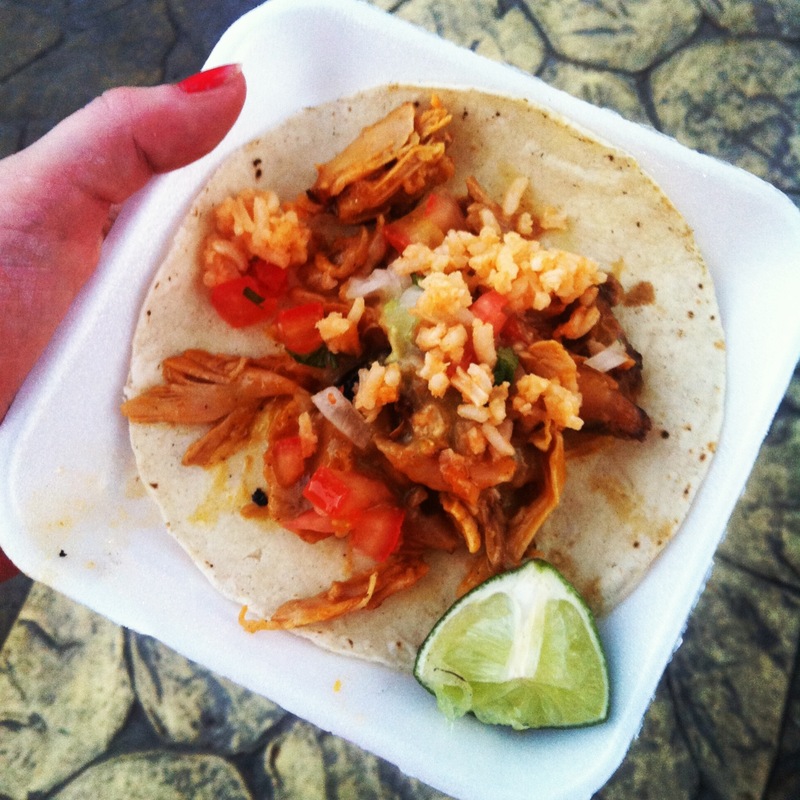 Just looked at your blog and now I’m having major Mexico nostalgia! YEAH!!!! You made it to Mexico!!!! Aren’t the beaches amazing???? Sounds like you are enjoying yourself. Have fun and a safe trip home! It’s such a wonderful country, I can’t wait to blog more about it. I’m home now sadly, but I’ll definitely be returning in the future!